Improving our surroundings and enhancing our countryside. Opportunities for landscape enhancement are at the forefront of much of the work co-ordinated or undertaken by Authority staff and volunteers. While some projects are led by the Authority, delivery increasingly tends to be undertaken in partnership with landowners and key partners. In many cases, projects may be identified and taken forward as a priority for access, biodiversity or archaeological reasons but there will be an additional landscape benefit. Such projects might include sustainable surfacing work on the National Trails or public rights of way, moorland, mire or woodland restoration or even simply removing bracken growth at archaeological monuments. Other projects are driven primarily from a landscape enhancement perspective and may be instantaneous or more often or not evolve over a longer period of time. One ongoing issue, which the National Park Authority has been working in partnership with the Forestry Commission over a number of years now, is that of forestry design. In the rush to plant more timber, little consideration was given to the appropriateness of design and need for diversity, both in terms of structure and composition. Gradually, as forestry blocks reach maturity, replanting schemes seem not to make the mistakes of the past and endeavour to reflect the natural pattern and forms around them and avoid an urbanisation appearance and shape. Another ongoing landscape threat is that of the spread of overhead wires, both for electricity and telecommunications service provision. While recognising that rural communities need reliable and resilient service provision if they are to be sustainable, there has long been a public recognition of the detrimental impact that pylons and overhead wires have on rural settings. The Authority is working with partners in order to underground some of the most visually-intrusive overhead electricity lines within the National Park, in order to maintain the true sense of tranquillity. Maintaining that true sense of tranquillity is not as easy as it seems, and can often conflict with the aspirations of a living, working landscape and thriving and vibrant communities. 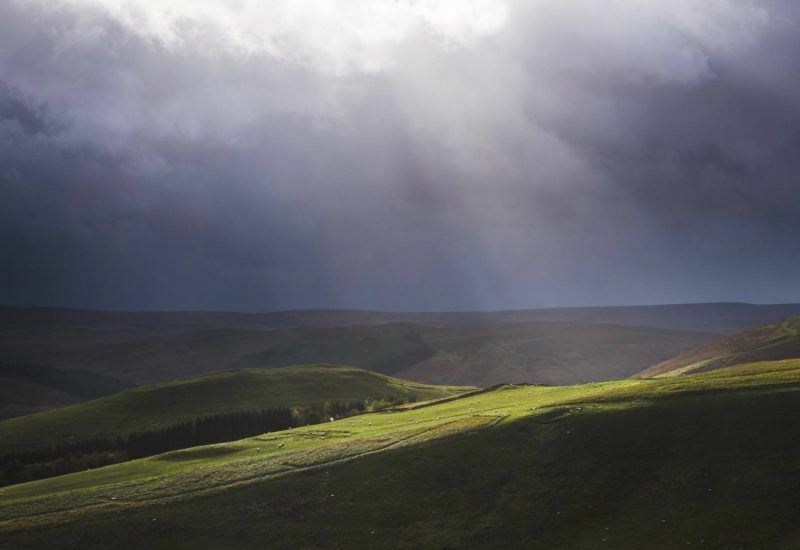 One must not forget that 22 per cent of the National Park is owned and managed by the Ministry of Defence and with the closure of training facilities elsewhere around the world; the Otterburn Ranges are as busy now as they have ever been. Through careful partnership working, the impact that the military training area has on the Park landscape is carefully managed. While there may be some elements that directly conflict with the Park’s special quality, such as the sound of an AS90 artillery gun being fired, there are benefits too with the training estate supporting traditional upland hill farming. Just outside Northumberland National Park at Cragside, Rothbury, William Armstrong engineered the world’s first hydroelectric power station in 1878. The electricity was used to light rooms at Cragside, thereby providing the first proper electric lighting system in the world. Rapid advances and increased uses for electricity saw a massive increase in demand and, on the back of that, the need to be able to transport electricity from the generator to the consumer. The Electricity Supply Act was passed in 1926 and thus the National Grid and Distribution Network were born. Ever since, the UK landscape has seen a spider’s web of overhead power lines erected, connecting power stations to major cities, industrial centres, airports, villages and most rural communities. Transferring electricity over relatively short distances is undertaken by a local Distribution Network that tends to use overhead lines ranging from 240V to 132kV. However, to prevent power loss, transporting electricity over longer distances is undertaken at considerably higher voltages such as 275kV and 400kV as found in the National Grid. As a general rule of thumb, the higher the voltage that the electricity is being transported at, the higher the pylons needed to prevent an electrical discharge to the ground beneath. For decades now, organisations such as the Campaign for National Parks and Friends of the Lake District lobbied Ofgem, the UK Electricity Industry Regulator, saying the electricity transmission companies ought to underground a percentage of their overhead line networks that passed through these treasured and protected landscapes. It was argued that in so doing, Ofgem and the electricity transmission companies could deliver their environmental duties under the Electricity Act 1989 and National Parks and Access to the Countryside Act 1949. At the same time, undergrounding electricity lines would address both business and public concerns about the impact pylons and overhead lines have on the landscape as revealed in a Willingness to Pay study, commissioned by Ofgem in 2003. In November 2004, Ofgem set out the final proposals for the 2005 – 2010 Electricity Distribution Price Control Review (DPCR4) covering the local Distribution Network. It had been identified there was approximately 42,687 kilometres of overhead line in National Parks and Areas of Outstanding Natural Beauty and a maximum of £64m could be spent by the Distribution Network Operators (DNOs) in undergrounding 1.5 per cent of the network in the protected landscapes. At this time, there was no similar incentive to address the impact of National Grid transmission lines. The incentive for undergrounding overhead lines was carried over into the 2011-2015 Distribution Price Control Review (DPCR5), for which an allowance of £60.6m was identified, and to date a significant number of projects have been delivered across the country. With this success and further public consultation, Ofgem once again were minded to carry over the undergrounding in areas of outstanding beauty and National Parks mechanism into the 2015 – 2023 Price Control Review for DNOs (RIIO-ED1). 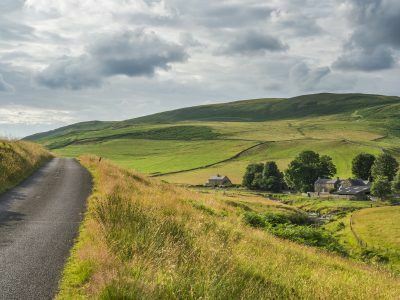 While it was agreed to keep the same funding formula, the contract period has been extended from five to eight years and now also covers Scottish National Parks and National Scenic Areas, meaning the potential funding pot for work stands at £103.6m. In addition, and for the first time, following further public consultation and research, Ofgem saw fit to introduce a visual amenity incentive to include in the National Grid Electricity Price Control Review, (RIIO-T1). Due to the nature and complexity of the work involved, an initial pot of £500m has been identified and the work is being taken forward as part of the National Grid Visual Impact Provision project. As part of a national initiative arising out of the retendering process associated with the management and maintenance of the National Grid electricity transmission network, Ofgem and National Grid agreed a new set of price controls and incentives for the period covering 2013 to 2021. On the back of a customer willingness to pay study, and in seeking to deliver on their environmental obligations, £500m has been set aside to mitigate the visual impact of existing electricity infrastructure in nationally protected landscapes such as National Parks and Areas of Outstanding Natural Beauty (AONB). Although the eight-year contract period might seem like a long time, given the nature and technical difficulty of the work involved the National Grid Visual Impact Provision project has started at pace. Following the establishment of a Stakeholder Advisory Group in April 2014, the Visual Impact Provision project methodology and timeline have been set and the potential candidate areas identified. Other visual impact measures recommended by stakeholder. As can be seen from the adjacent map, the effect of National Grid transmission lines on the landscape character and views of Northumberland National Park are confined to two separate lines. One passes adjacent to the southern edge of the National Park and runs from Newcastle through the Tyne Valley west to Carlisle, while another runs, again from Newcastle, north along the western edge of the National Park north to Coldstream and beyond. Stage two of the project involved undertaking a Landscape Visual Impact Assessment process for each transmission line that passes within, and in four cases for lines that pass in close proximity to, a protected landscape. The Landscape Visual Impact Assessment work of all the transmission lines within the Visual Impact Provision project was undertaken during the summer of 2014. From this, a priority list of infrastructure has been identified within four National Parks and four Areas of Outstanding Natural Beauty and these specific electricity transmission lines will be taken forward for further analysis. With respect to the lines affecting Northumberland National Park, the line running from Newcastle to Wooler was deemed to have a moderate effect upon the National Park, specifically in the Ilderton and Roddam area, while the line passing through the Hadrian’s Wall World Heritage Site was also deemed to have a moderate effect upon the landscape character and views of the National Park, specifically in the Grindon area. The effect of the line in just north of Haltwhistle was thought to be limited. As a result of this assessment, these two lines are not a top priority to have undergrounded as their effect upon the National Park landscape is deemed to be minimal. 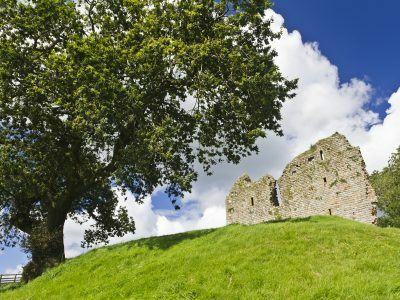 However, work will continue over the next few years to see whether other mitigation measures might be used to minimise the effect that these lines have on the landscape character and views both into and out from the Northumberland National Park. Trees are probably one of the most striking natural landscape features commonly found across Britain today and yet no other country in Europe has seen the same loss of natural forest cover as a result of agriculture, development and other land uses. Britain’s woodland resources had been declining since the middle ages, but reached an all time low – just five per cent of land area – by the beginning of the 20th Century. This decline in tree cover, and a shortage of available timber during the First World War, led to the creation of the Forestry Commission in 1919. 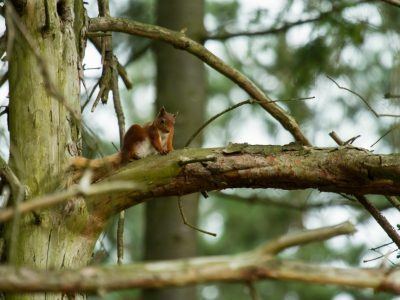 It is widely acknowledged that the creation of a strategic timber reserve was the priority and this took precedence over landscape, biodiversity and other environmental considerations. Forest landscape design should emulate ’natural’ patterns and forms, and contrast with that which is controlled, regular and urban. Principles of visual design, used by designers in other fields, should be applied to forests in the landscape. Still or flowing water enhancing the attractiveness of a woodland landscape. This heightened awareness of the potential threats to the natural environment, arising from large-scale forestry plantations, has led to a sweat of guidelines for sustainable forestry management being captured in the UK Forestry Standard (UKFS 3ed. 2011). This standard outlines the context for forestry in the UK, sets out the approach of the UK governments to sustainable forest management, defines standards and requirements, and provides a basis for regulation and monitoring. The Forests and Landscape guidelines of the UKFS set out the modern forest design process and identify how this is contributing to the implementation of the European Landscape Convention. It also recognises that forests and woodlands are frequently significant components of nationally protected areas such as National Parks and Areas of Outstanding Natural Beauty, and as such the landscape impacts of afforestation, clearfelling and forest roads are considered in the context of these designations and the policies that apply. Coming up to its centaury, the Forestry Commission has seen the forest and woodland cover increase to more than 10 per cent of the UK’s land area and Government Policy is to increase this still further to 12 per cent by 2060. Protecting our wildlife and habitats. The past is everywhere and has shaped the identity of people today. Farming in the National Park.